So how did we conclude the pricing before its official announcement? Way back in April 2018, Ford had launched the Freestyle, a cross based on the Figo. With a base price of just over Rs. 5 lakh, the Freestyle ended up being a good 40k cheaper than the Figo: this in spite of offering more features with better aesthetics. Hence, it is safe to assume that Ford will recreate the same magic, aka, working on higher localisation, cheaper production and other methods to cut down on the cost and hence price the new Aspire at approximately Rs 30-40k less. This will also allow Ford to position the Aspire below market leaders like the Dzire and the Amaze. 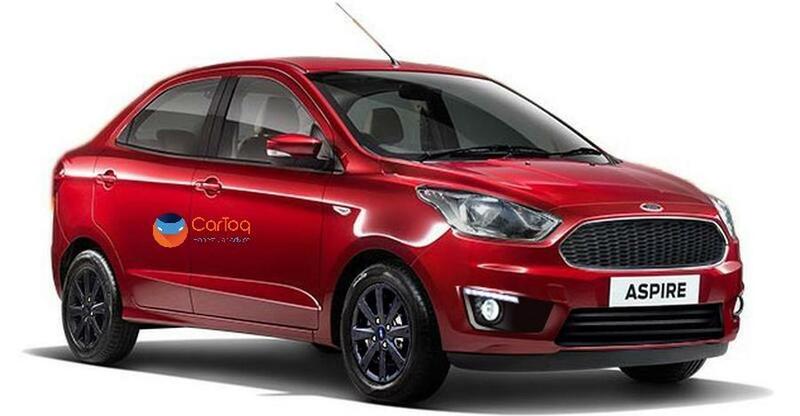 Ford will officially launch the updated Aspire compact sedan on 4th October. This model will receive a host of minor changes inside and out including new features. However, the biggest change will be under the hood and that will come in the form of the new 1.2-litre Dragon series petrol engine which made its Indian debut in the Freestyle. The new Aspire will bring in a better design with an updated grille, Freestyle-inspired bumper with new fog lamp inserts and a new design for both wheel caps and alloy wheels. On the inside, the Aspire is expected to get a bump in a number of features, the main highlight being the improved SYNC interface that promises to deliver the best-in-segment touch interface. The biggest highlight will be the introduction a new petrol engine. This 1.2-litre Dragon series engine will put 9% more power and 7% higher torque, making it the most powerful petrol in the compact sedan category. Further, this engine will also deliver better fuel economy. This engine will be mated to a 5 speed manual transmission and while Ford has not confirmed yet, we believe an automatic will be offered soon. The new Aspire will continue to be offered with a 1.5-litre diesel unit as well.